The pub crawl lasts approximately 2.5 hours. Includes stops at 4 - 5 different bars, pubs, and saloons. 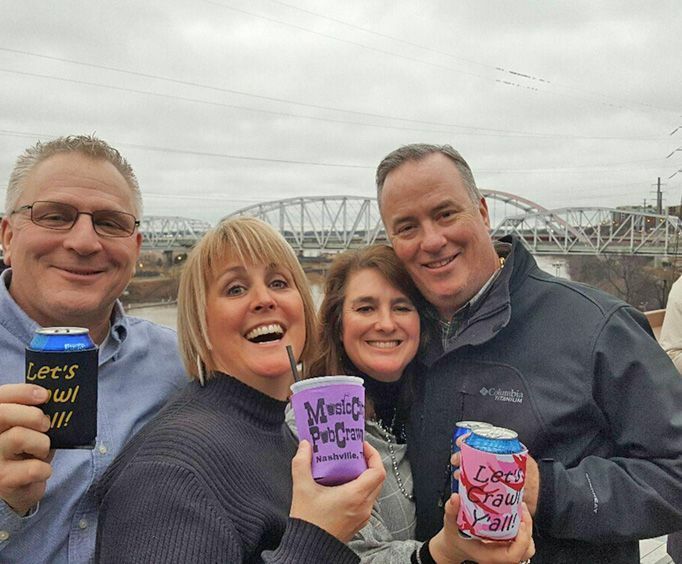 Awesome fun awaits in Nashville, TN on the Music City Pub Crawl. This activity is a great way to get out on the town and enjoy some of the drinks that the city is known for. This 21+ activity is sure to help you create memorable adventures in Nashville, so be sure to book it the next time you visit! Although this tour is a pub crawl, guests will also be able to enjoy some amazing sightseeing and hear stories about the history of Nashville, TN. This is the perfect combination of sightseeing, history, and drinks that you will find in Music City, so do not miss out! Whether you want to make it a date night or night out on the town with friends and family, it is a great event for every type of party. 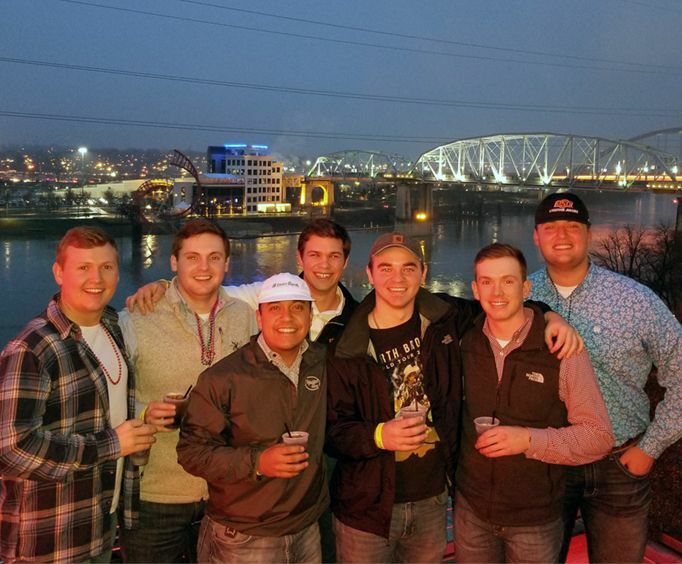 Not only does the Music City Pub Crawl take guests to some of the hottest bars in town, but it is also a fully-guided adventure full of fun. Your guide is knowledgeable, hilarious, and has a true party spirit that will help you and your crew enjoy Nashville's nightlife to the fullest. Since this is a drinking tour, be sure to bring your IDs because the bars will check them. What sights will actually be visited while on the Music City Pub Crawl? 4 - 5 pubs and bars. Is photography / video recording allowed on the Music City Pub Crawl? Approximately how long does the Music City Pub Crawl last? Great for all ages, but guests must be 21 and older with ID to drink. Where does the Music City Pub Crawl depart from?